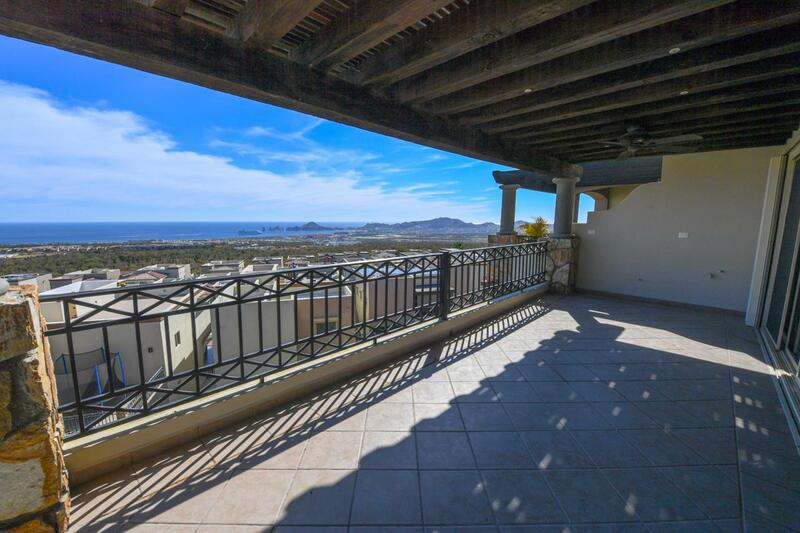 Own this great Penthouse with an amazing view of Cabo bay, part of the exclusive gated community of Ventanas a 3 bedroom 2 bathrooms. The club house at this community offers 5 star class amenities, family pool, restaurant, game room, fitness center, sky pool (only for adults) and more. It haves an underground parking area for two cars with a customized wall to wall storage closet. Hurricane shutters included and shatterproof film in all windows. Screen doors, ceiling fans in all rooms and mini splits in bedrooms. This one haves a laundry room as additional space. Just bring your own taste of furnishing and decoration and your will own your piece of paradise of your dreams!